The goal of my services is to suitably protect assets in order to ensure business continuity, minimize business damage, and maximize return on investments. This is accomplished thru careful PLANNING, executing effective PREVENTITIVE measures, being thorough in the DETECTION of known and unknown vulnerabilities, vigilante monitoring & decisive incident RESPONSE. Effective auditing will expose crucial flaws in operating systems, networks, servers, and software-as well as the vulnerability caused by poor training, corporate politics, and careless management. Experiencing slowness, loss of connectivity with my network performance assessment I will identify trouble spots. Installation/Configuration of Firewalls, Intrusion Detection & Intrusion Prevention Devices. With proper installation and configuration the implementation of hardware or software based firewalls or intrusion detection / prevention systems will become more efficient and your organization will see true ROI. Prevention is always better than A Cure, but having the right Incident Response Team makes all the difference. When the first action taken after incident may dictate if business is crippled or incident was just an annoyance. Being able to detect, contain and eradicate incidents is in many respects equivalent to defusing explosives—the sooner and better you do it, the less impact a security-related incident is likely to have. Getting Strange Errors, Warning or Some program you didn't install warning you an infection is imminent. Don't wait until work grinds to a halt, like any infection the earlier its caught the the easier it will be to eradicate. Oracle Database Performance Tuning & Hardening. A database operates at three separate but connected levels: conceptual, internal, and external. Identifying tuning issues and taking a well-planned approach to address these issues will bring any Relation Database Management System to run at optimal performance. Hardening of database will help in the assurance that integrity of data is held in event of an attack. All organizations must have a clearly defined security policy. A security policy defines how an organization approaches, implements, and enforces security measures to mitigate the risk to its environment. If you don't know where to start, need help fine tuning a policy already in place. Or maybe you need to implement Technology to enforce these policy. May seem like a daunting task but a knowledgeable team is here to help. With careful analysis of your Business Continuity need I would customize the proper solution. Just as insurance plans have different levels of coverage and riders to cover various types of damage, different backup methodologies provide different levels of recoverability. 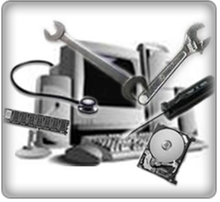 Do you have to upgrade or install: Regardless of Operating systems(Macintosh, Linux, AIX, Windows), Personal Computers, Servers, Software, Printers, Peripherals, Networking Equipment; Or need something but not sure what it is, We can help make you daily IT routine more productive. There are numerous reason a business may need to implement a Mail Archiving Solution whether it be the fear of disgruntled employee company emails, defending themselves in lawsuits, demonstrating regulatory compliance, solving e-mail performance issues, or compling with government mandate. Need help with the security of financial transactions and personal information. Now it's a matter of law rather than choice. This service is aimed at IMPROVING SYSTEMS AND PROCESSES, INCREASE SYSTEMS RELIABILITY AND DATA SECURITY, AND ENHANCE TECHNOLOGYS PRODUCTIVITY. Identify Attack Vector that Malicious software or Attacker may use in order to exploit company assets, Recommend/Implement countermeasures to protect company asset from vulnerability per request.